A sub-brand of Winchester Interconnect! 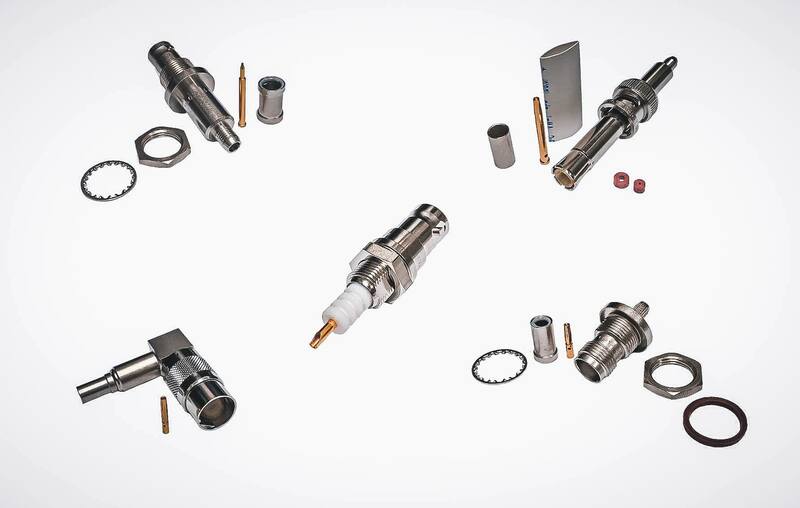 The Kings brand is comprised of hermetically sealed, weatherproof and weather-resistant connectors as well as high quality broadcast RF Connectors for audio and video applications. Products include 75 Ohm BNC and RCA connectors, video jacks and jackfields, and the Tri-Loc® system. QC-SMA and QC-N Connectors are RF Connectors with one great improvement. They feature a push/pull style of mating that does not require special tooling for mating or unmating. Standard RF Connectors need to be torqued for proper installation. Note: These connectors are RoHS compliant RF Connectors. Including MMCX, MCX, SMA, SMB, BNC, TNC, N-Series and custom configurations. The three categories of RF Connectors are: Cable Connectors (plugs & jacks terminated to cable), Receptacles (terminated to printed circuit boards or equipment chassis) and Adapters (In-series or between series). All come in straight, right angle & flange mount configurations.